Non-fiction, but Taking Charge of Your Fertility . Until I started trying to get pregnant, I had no idea about any of this stuff! If you're "terrified about getting pregnant", this might not be the best solution for you. Read Taking Charge of Your Fertility and make sure you understand exactly what you need to do. Having a regular cycle sure helps things, but you can't get into the habit of relying on it. You still need to take your temperature to make sure you actually ovulated - otherwise, you might assume you're "safe" when you're not. Edit - And whatever you do, DO NOT RELY ON AN APP. It's up to you to figure out your fertile window and avoid it (or use condoms during it). The vast majority of apps out there just do some version of the calendar / rhythm method and do not adjust to what's happening in your cycle right now. 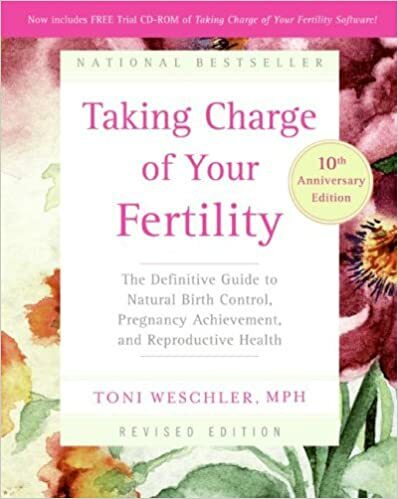 Read Taking Charge of Your Fertility . Use FertilityFriend for tracking everything. Lurk at /r/TryingForABaby to see FAM in practice (although obviously most people aren't using it for birth control there!). > this is turning out to be more hassle than the pill. Yes, it is! And if that doesn't suit you guys at this stage, it might not be the best method for you right now. I was on the pill for almost 16 years, then only moved to FAM as birth control for three months before we started trying. Join /r/TryingForABaby and read Taking Charge of Your Fertility . And remember, it's totally normal for an average, healthy couple to take up to a year to get knocked up. It's totally normal for an average, healthy couple to take up to a year to get knocked up, so the hospital might get refurbished / change their intake procedure etc in the meantime. For now, join /r/TryingForABaby and read Taking Charge of Your Fertility . If you're trying to get pregnant, join /r/TryingForABaby and read Taking Charge of Your Fertility . March 6 and 7 was your period, so you're not pregnant. If you're trying to be, read Taking Charge of Your Fertility and join /r/TryingForABaby. I highly recommend reading Taking Charge of Your Fertility , so that you truly understand how your cycle works and when the fertile window actually is. And seconding the recommendation to talk to a therapist. Follow your doctor's advice and be aware that the vast majority of women don't get knocked up on the first cycle anyway! I highly recommend joining /r/TryingForABaby and reading Taking Charge of Your Fertility . I'm only ten weeks along, but it's been okay so far! From a trying perspective, make sure to read Taking Charge of Your Fertility and join /r/TryingForABaby.